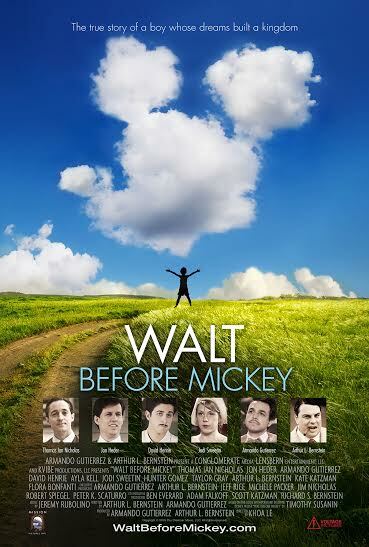 Brief Synopsis – Biopic of the early life of the man we all became to know as the great Walt Disney. My Take on it – There aren’t many people in the world who don’t know anything about the man who was known as Walt Disney. This movie chooses to tell the tale of the great one before he got to be so great and in doing so, we are presented with an inspirational story about fulfilling ones dreams no matter the odds and no matter how many times you fail along the way. The choice of using a relatively unknown cast is a great one because it lets us learn about te characters without the actors getting in the way, this lets everyone shine through. The music and cinematography here are great and both help transport us back in time to a more innocent time where people were able to trust more easily and dream about the future. Some of Disney’s ideas were very innovative at the time and we get to see how much influence he was able to have on the industry of animation before anyone ever heard of a little mouse name Mickey. I liked how we are introduced to many of the men and women who helped invigorate the whole animation industry via numerous studios during the influx of animation of the 30’s, 40’s and beyond. We get to see so much of Walt’s personal and business life and by the end, we only want to know even more. I was quite inspired by the whole story and then the song as the credits rolled sung by Julie Zorilla just clinched it all for me because it is so moving and fit the story so well. Bottom Line – Such a great movie about Disney’s young life as a struggling businessman with some great ideas for improving animation in films. We learn so much about such a popular man. Inspirational tale of never giving up even when the odds don’t seem to be in your favor. Great unknown actors help this film shine through. Very inspirational theme song that works so well with the message of the movie. Highly recommended! Nice review. Never heard of it! Sounds interesting to me. I didn’t know this was a thing. Just acquired and going to watch in a few minutes, thanks to your review! Disney is one of my heroes. One of my favorite Disney animated films is “Meet the Robinsons” where you hear the slogan Walt told all his animators in the early days: “Keep moving forward.” That’s a great life slogan for anyone.